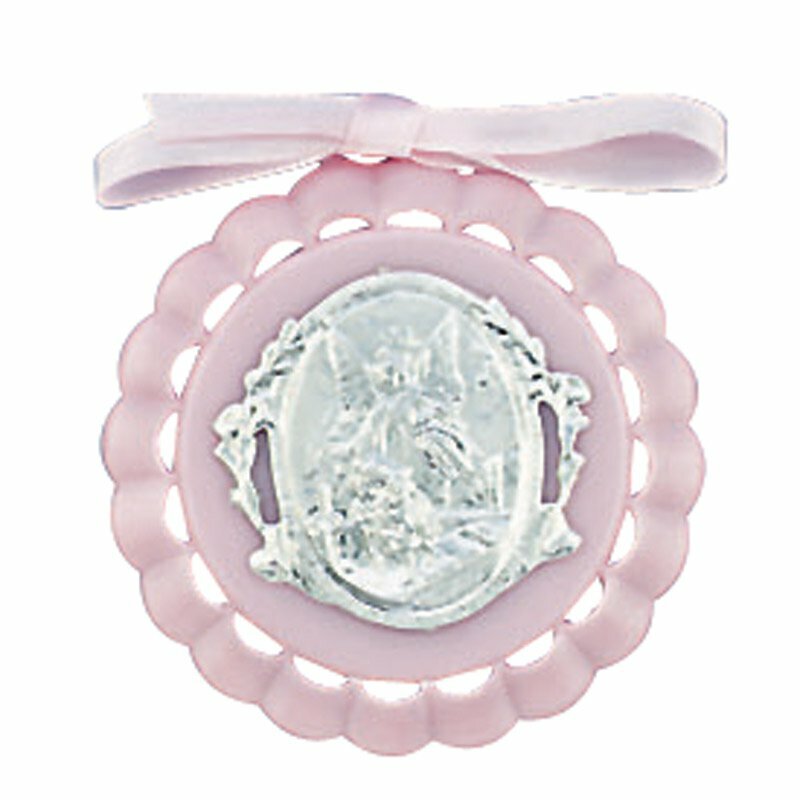 This adorable Guardian Angel Crib Medal is sure to add a gentle touch of faith to any child's room. Each crib medal is crafted of moulded plastic and adorned with a coordinating bow. It makes a perfect gift for Baptisms and is an ideal keepsake that will be treasured for years to come.